I was walking around Rovinj – a small town on the Istrian peninsula in Croatia – to find some interesting things to shoot. I came by this little sign on a nice looking street, as I stood there trying out different compositions, this man came out of the establishment – properly a bit drunk and on his way home to the misses – I quickly fired of a few shoots, and ended up with this one. 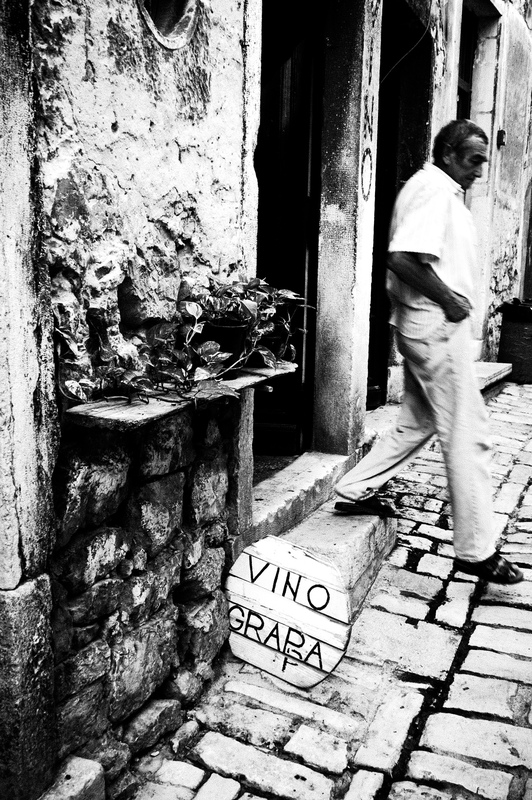 Vino Grappa by Bo47 is licensed under a Creative Commons Attribution-NonCommercial-NoDerivatives 4.0 International License.